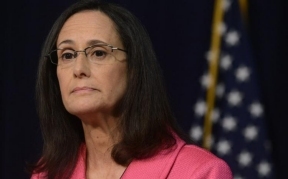 Attorney General Lisa Madigan sent a letter urging the U.S. Department of Education Secretary and Congressional leaders to express their support for recent federal protections for students in higher education and taxpayers. Highlighting how many for-profit schools have harmed student borrowers, Madigan and the attorneys general sent a letter to U.S. Department of Education Secretary Elisabeth DeVos and U.S. Senate and House leadership detailing their concerns over rolling back federal protections that would signal “open season” on students for some of the worst actors in the for-profit school industry. Madigan referenced the thousands of complaints her office receives concerning higher education every year and her work to help students across the country who have incurred crushing amounts of debt for worthless degrees from many for-profit schools that engaged in fraudulent activity. Madigan and the attorneys general pointed to a number of protections they believe should remain intact, including the Gainful Employment Rule, which ensures students who attend career training programs will qualify for employment and be able to repay their federal student loans once they graduate. Madigan is also pushing to keep vigorous federal oversight of accreditors that are tasked with providing prospective students with quality assurance. She is also promoting the continuation of the Borrower Defense to Repayment Rule, which will provide a fair and transparent process for students who have been defrauded by their schools to apply for federal student loan relief. 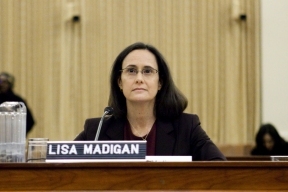 Attorney General Madigan is a national leader in investigating and enforcing consumer protection violations in the higher education field. Just last month, Madigan filed a lawsuit against Navient and its predecessor Sallie Mae for the companies’ mistreatment of student loan borrowers from start to finish – from originating student loans to servicing those loans and collecting on defaulted student loans. Madigan’s office runs a free Student Loan Helpline to provide student borrowers with free resources about repayment options, avoiding default or to file a complaint about loan servicing at (800) 455-2456 (TTY: 1-800-964-3013).